Touching Africa, Touching The World! Drones – reach for the sky! THANK YOU FOR HELPING US SET NEW PASSENGER RECORDS Dear passengers, On behalf of Africa World Airlines, I’d like to wish all our customers a very happy New Year and best wishes for 2019.
destinations, and seamlessly connect in Accra without having to reclaim your baggage or check in again. The last quarter of 2018 was an exciting time for AWA as we took delivery of our seventh Embraer 145 aircraft. This allowed us to increase frequencies on many of our routes to offer a choice of multiple flight timings to our customers. Our team successfully carried 2,000 passengers in a single day in December – yet another milestone as we continue to expand Ghana’s largest airline. Our ‘WOW! Wednesday’ promotion was another big hit with customers. This promotion offers tickets to domestic destinations at never-before-seen discounted prices. Looking forward to 2019, AWA will be taking delivery of yet another Embraer 145 in the first quarter of the year, which will take our fleet up to eight aircraft. This will enable us to launch services to Abidjan in Côte D’Ivoire, our ninth destination. purchase AWA flights on single tickets together with flights operated by South African Airways, TAP Portugal, Ethiopian Airlines, Emirates, Qatar Airways and ASKY Airlines, with more partners coming soon. Our partnership with South African Airways has grown to include a comprehensive code-share agreement planned to begin in April. This will significantly increase the volume of passengers connecting between our airlines, thus helping AWA support the Government of Ghana’s vision of turning Accra into West Africa’s aviation hub. AWAnews Big flight discounts give AWA the ‘wow’ factor AWA is putting the ‘wow’ into Wednesdays with a series of ‘miss them, miss out’ deals offering huge discounts on flights. The WOW! Wednesday adverts appear, unsurprisingly, every Wednesday across AWA’s social media platforms and on its website. These sites will also carry early warnings of upcoming WOW! Wednesdays, with details of which flight is being drastically reduced in price. Once Wednesday comes, you have a five-hour window, from 12 noon to 5 pm, in which to visit the website and book the advertised flight route for the day and time of your choice at the offer price. The WOW! Wednesday offer was introduced in November as a sign of appreciation to AWA passengers for their custom over the airline’s six years in operation. When one-way flights between Accra and Kumasi were offered for just GHS 49, they were snapped up by over 700 people in the five hours. The promotion has proved such a hit that AWA has decided to continue it into 2019. Other big savings served up by WOW! Wednesday since the offer began include single flights between Accra and Tamale for GHS 99 – these would normally cost between GHS 249 and 449 – and one-way flights between Accra and Takoradi for GHS 79. Passengers can book flights online by visiting flyAfricaWorld.com and using the ‘Book A Flight’ function. You can then choose your flight, book your seats and select your payment method. AWA offers various methods of payment for customers in Ghana and Nigeria including debit/credit card, MTN Mobile Service (Ghana only), Quickteller (Nigeria only) and bank transfer. For detailed information, check out our website. Win a chance to dine at Urban Grill The fine dining scene in Accra is burgeoning and at its forefront is a string of stylish venues owned by the YOLO (‘You Only Live Once’) group. Among them is the dazzling Urban Grill, which may well serve the best steaks in Ghana. They are cooked over a charcoal grill to perfection and served amid the metropolitan glamour of the mirror-clad restaurant, which was designed by award-winning studio Graven Images. YOLO has teamed up with FLYafrica to offer two of its lucky readers a GH¢ 500 voucher to spend on a delicious dining experience at Urban Grill. To be in with a chance of winning one of these wonderful prizes, simply answer the three questions below and email your answers along with a picture of yourself holding a copy of FLYafrica to awacompetition@landmarine.org Answers can be found within the pages of this edition of FLYafrica. The deadline for entries is 20 March 2019. Good luck! QUESTIONS 1. What is the name of the mountain, the highest peak in the Kwahu range, which is the take-off point during the Ghana Paragliding Festival? 2. Which of Karmzah’s possessions is the source of her superpowers? 3. What is the name of the community in the west of Accra which is renowned for producing a string of world-beating boxers? COMPETITION TERMS AND CONDITIONS: Closing date is 9 March 2019. Photographs should be sent along with your entry. One entry per person. Entrants must be 18 or over. 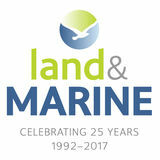 The winning entry will be selected by Land & Marine Publications Ltd. This competition is not open to employees of Africa World Airlines, the Yolo group or Land & Marine Publications Ltd.
Ghana was the first sub-Saharan country to gain independence, on 6 March 1957, and is seen as a leader in African democracy and development and as having played a key role in the decolonisation of Africa. The 62nd Independence Day will be marked by a traditional march-past and parade in Black Star Square. Other parades will be held simultaneously across the nationâ&#x20AC;&#x2122;s regional and district capitals. And there will be plenty more small-scale celebrations in bars, clubs and family homes, with decorations and costumes dominated by the red, yellow and green of the national flag. Start planning your celebration. JANUARY – FEBRUARY African Culture & Wellness Festival 30 January to 11 February, Aburi, Ghana The tranquil setting of Aburi Botanical Gardens will host this super-healthy festival. It showcases the many manifestations of African fitness as well as a huge range of wellness treatments such as life management, meditation, food therapy and natural hair and skin care. There will be live music concerts and workshops by local and international artists and a food court serving a wide variety of nutritious delights from local vegan restaurants and catering services. the event over 5,000 fishermen and women gather close to the river and at the sound of a gunshot they all dive, using traditional nets, gourds made of calabash and even just their hands to catch fish. There is a US¢ 7,500 prize for whoever catches the biggest fish. Festivities last for four days and include canoe racing, wild duck hunting, barehanded fishing, diving competitions and plenty of drinking, singing and dancing long into the night. MARCH National Decoration Day 13 March, Liberia The second Wednesday of March is National Decoration Day in Liberia, also sometimes referred to as Memorial Day. It was made an official national holiday in Liberia on 24 October 1916. On this day, people decorate the graves of their deceased relatives with flowers or wreaths and trim overgrown grass or plants near the grave site. The Liberian flag is flown at half mast to mourn for the nation’s fallen heroes and workers have the day off. In recent years the celebration has taken on a darker, more national tone of mourning with the mass graves of ebola victims. Revitalised Abidjan is an all-round treat for visitors With the gleaming skyscrapers of its business district looming over lagoons and waterways, Abidjan can seem a little soulless from a distance, but at ground level it bustles with tropical life and character. Côte d’Ivoire’s biggest city is divided into many neighbourhoods, each with its own distinct character. Exploring them will reveal lively markets, street-food stops, welcoming bars and music venues, beautiful beach resorts and creative architecture. The city, which locals affectionately refer to as ‘Babi’, has had a rebirth of late with an urban renewal programme under way fuelled by a booming economy. This is a great time to visit Abidjan. TRAVEL: AWA’s network of destinations across West Africa is set to include its first direct connections to Abidjan, with flights from Accra to the Côte d’Ivoire capital to begin by the end of March. There will be five flights a week between the two cities. can be found at Galerie Cécile Fakhoury. This 600 square metre gallery features sculpture, painting and photography. SEE: The striking St Paul’s Cathedral in the Plateau district is a modernist masterpiece. Built in 1985, with the first stone consecrated by Pope John Paul II, it features a giant cross, connected by cables to the church behind, which it appears to be tugging into the lagoon. Fantastic views of Abidjan are to be had by climbing its tower. Also worth visiting is Parc du Banco. Don’t expect much in the way of wildlife, but this rainforest on the north-west edge of town is cool and shaded with pleasant walking trails, majestic trees and a lake. Rangers are on hand to give visitors a guided tour. day. Standards of comfort and cuisine vary greatly, but maquis can be quite sophisticated, even outdoing some of Abidjan’s finest restaurants. Take your pick of some of the best examples at Mille Maquis, an energy-infused strip of different maquis in the Marcory district, offering fresh Ivoirian dishes such as braised fish, peanut soup and kedjenou, a meat stew with chopped onions, tomatoes and fresh ginger. If you’re after something fancier, try Le Croisette. This Frenchowned restaurant in the business district is renowned for its local seafood and elegant cuisine. For food on the run, Abidjan is peppered with stalls selling street snacks such as banana with chilli and onions and delicious fried spicy chicken. SLEEP: Abidjan has a good selection of hotels and lodges. The best are to be found in the wealthy suburbs of Cocody and Marcory as well as in the city centre. Eiffell’s Hotel, in Concordy, is a tranquil escape from the city and its terrace restaurant is a lovely spot for an evening meal. The Seen Hôtel Abidjan Plateau, in the heart of the city, is an ideal base for business travellers. It has five conference rooms, a restaurant, a bar and a gym. a range of roles on a shoestring is vital. were my undergraduate academic advisers. collaboration between Elisabeth’s alma mater and budding young Ghanaian actors. A taste of Tamale Northern Region’s capital is full of restaurants serving farm-fresh food sourced from Ghana’s breadbasket If the fertile Northern Region is Ghana’s breadbasket, Tamale is its kitchen. Restaurants here are blessed with a constant supply of produce from the surrounding farmland, so their food is fresh and almost always very good value. It’s a big town – the fastest-growing in Ghana – and there’s plenty of choice for diners, who can choose from West African delicacies; a range of international cuisine; and food and drink you’ll only find in Tamale, such as the non-alcoholic millet or maize brew called Toose. Here are some of our favourite foodie haunts to try. baobab and other exotic fruits. Roy ‘Gramps’ Morgan has had musical success as a solo artist and with four of his 29 siblings, the children of reggae legend Denroy Morgan, in the Grammy awardwinning reggae group Morgan Heritage. Recently the band has teamed up with Ghana’s Stonebwoy and Tanzania’s biggest musician of the moment, Diamond Platnumz, for the single ‘Africa Jamaica’. Here he talks about his earliest musical memories, bringing together East and West Africa with his latest release, and why everyone should try gardening. unite – conquer the left, conquer the right. bringing that awareness to the forefront. true sooner than later, before it’s too late. line of health food products and sauces. needy in various parts of the world. beautiful. I fell in love with fishing there. generation of artists in his country. Snapper Hill – outside of normal school hours. that was denied him to others. suggestive of life and character. the work of one artist from each of the 54 nations of Africa. His work ‘The Light Within’, a monochrome urban environment illuminated by the people who walk its streets, who seem to glow in colour from within, was chosen. Lumeh has said the work was an attempt to illustrate the “unique individual spirit within every person”, a universal quality he tries to mine in every one of his pupils at LivArts. rights advocate and author Farida Bedwei. home-schooled for much of her childhood. December. Issue 2 is due out in February. lining the activities of these institutions. She is involved with Girls in ICT, inspiring women to pursue careers in computing, and partners with ShareCare to cater for disabled people and those with cerebral palsy. Such achievements have won her a series of awards, including the 2013 CEO Most Influential Women in Business and Government Award Financial Sector. or hearing aids – as ‘cool’. unrealistic, so the possibilities are endless. always knew she wanted an African heroine. came from no other place but Ghana.”! jar brought back from a dig,” says Farida. once freed, becomes Karmzah’s ‘handler’. penchant for arguing and a sarcastic wit”. Enterprise Group shares, which appreciated 54.2 per cent in 2017, dropped 39.5 per cent in 2018 to GHS 2.24.
reversed from mid-year as interest rates started to rise. growth rate of 23.5 per cent. Beach holidays are a popular escape in Ghana and there are plenty of remote getaways along the country’s more than 500 km of coast. Whether you’re after a low-key eco resort or a five-star slice of paradise, you are catered for in Ghana. Here are three remote beach resorts to help you recharge with some ‘vitamin sea’. Lou Moon Lodge Perched on a peninsula near Axim, in Ghana’s Western Region, and shrouded by dense forest, this exceptionally beautiful boutique resort is the perfect getaway. taking a seafaring excursion to meet the local fisherman or just to unwind in this tropical beach paradise with a good book – the resort has its own library – or with a massage at the spa. Lou Moon Lodge has only 11 rooms in its main building and a sprinkle of bungalows perched on the tip of its private island. Built entirely from local materials and designed to harmonise with the natural environment, the family-friendly lodge nestles on the shore of a private cove offering rare protection from the ocean waves and creating an idyllic natural swimming pool, safe for swimmers of all ages. Whether or not you go out with the local fishermen, their catch of the day will be a large part of the fantastically fresh French-inspired cuisine prepared by head chef Yvonne Ganlonon. Wherever possible, all the vegetables and herbs she uses will have been grown in the lodge’s garden. The meals can be taken in the restaurant and bar, with its views of the garden, or a romantic meal can be set up on the beach. This serene hideaway is only 80 km from Accra on the Cape Coast Road, but the city’s bustle will be a distant memory once you’ve sunk into one of the many hammocks hung between palm trees that fringe the resort’s 500 metres of private beach. If you feel you have to unwind still further, the resort’s fantastic spa offers, among a huge range of treatments, Balinese massages, renowned for bringing bring a sense of well-being, calm and deep relaxation. The resort is spread over eight hectares with 11 chalets and one conference room for business groups after some team-building escapades. There’s also a swimming pool, restaurant and bar on site. time to shine would appeal to her. future editions of the show. herself and make the most of her life. ing her return to formal education. see what she does next. Acclaimed Nigerian filmmaker Femi Odugbemi knows how to make a hit on the big screen and small screen and his expertise has been recognised by Hollywood, where he was recently invited to join the Oscars judging panel. Mark Edwards finds out where his love of cinema began and why he thinks the future for Nigerian cinema is so bright. West African storytelling, life and culture. ported to other worlds and cultures. looking for the best in new world cinema. Academy is saying to all of us, ‘bring it on’. It is important that we take the challenge. began along with the first stirrings to make his own ideas come alive on the big screen. Femi Odugbemi reveals the young Nigerian filmmakers who are exciting him with their work. “The cinema in Nigeria is hugely exciting and this emerging generation of storytellers have the talent and power to create it,” he says. wonder. Despite Nigeria having the largest population of any African country, it has less than 100 cinemas and most of these are large multiplexes with ticket prices that exclude all but the wealthiest visitors. The largely straight-to-video output of Nollywood does little to counter the trend. Femi has been vocal in advocating more modestly priced community cinemas which are reachable for most inner city dwellers, but he believes changes are coming. “There are a lot of entrepreneurs who see huge opportunities in the growing numbers of Nollywood audiences and who are building cinemas across major cities of Nigeria,” he says. “So I am confident in a short while there will be far many more film exhibition spaces of all shapes and sizes across our major cities.” Hopefully this will mean more emotional connections with films for young viewers who will never forget where cinema took them and how it made them feel. of all time in Nigeria. ies of the continent such as musician Akon and footballer Didier Drogba. economics degree and got a job in a bank. course at the New York Film Academy. Afolayan’s big-screen debut sees him in front of and behind the camera in this thriller about two friends who find a mystical sculpture that bestows good luck for seven years but has dark consequences after that. This dark psychological thriller focuses on a police officer posted to a remote town in Western Nigeria to find a serial killer and have the mystery solved before the national flag is raised on Nigeria’s Independence Day. tale about a cursed artefact. languages and streamed around the world. Hassan (Mama Awero) in key roles. release in Nigeria and Ghana. Still there is much to distinguish Afolayan’s work from traditional Nollywood beyond the projection onto the big screen. Nigerian cultural traditions and superstition. tiers of the film industry in Nigeria. ‘Phone Swap’ A stylistic switch for Afolayan as he swaps thrillers for a romantic comedy about a fashion designer and a businessman who accidentally switch mobile phones at a busy airport and are forced to carry out each other’s assignments. A huge box office hit. This glossy thriller plays out like a sparkling melange of ‘The Apprentice Africa’, Agatha Christie and ‘The Hunger Games’. A telecoms firm with footprints across Africa picks five top executives to compete for its vacant CEO role on an island boot camp. Grammy Awardwinning actor Angelique Kidjo stars as the camp leader, Dr Zimmerman. Thanks to its three modes, children from seven years and up can easily learn to fly this drone. Mode 1 provides maximum stability while they learn the ropes. They can advance to Mode 2 for medium speed and to Mode 3 for bells, whistles and tricks that include 180 degree flips. Headless Mode (which is not the result of an unfortunate accident with the drone but means it is far more straightforward to control) makes it even easier for beginners to grasp the basics. Add the cool image of flashing lights and you have yourself a massive hit. The GPS-equipped Parrot Bebop 2 comes packed with tech that makes it incredibly easy to fly, including First-Person View goggles that give you an exhilarating drone’s-eye view. You can use just an Apple or Android device or, for an even more satisfying flight experience, the dedicated Skycontroller tablet dock. The Bebop 2 flies for up to an impressive 25 minutes per charge and is very stable. It comes with an emergency cut-out feature that stops the rotors as soon as they come into contact with an obstacle, which should help prolong its life. It’s also light enough to survive the occasional crash. If you’re hunting for the best indoor drone with HD camera, this fits the bill. This is one of the best indoor drones in the middle-tier price area. It’s agile, nimble and durable enough not to be written off by minor collisions. Your start-up kit includes a battery, remote control and the drone itself. You can also choose to purchase your own 5.8 GHz video receiver and screen, but it will work fine as it is if you download the free app CameraFi on your smartphone. It’s available on both iOS and Android. Once set up, you’ve got one of the best indoor FPV quadcopters. A stand-out feature is the one-button return. Simply press the button and your drone will autolocate the remote and fly back to it. The UFO-shaped drone looks great, too, especially when you turn on the blue and red LED lights for flying in the dark. The Mavic Air is a true pocket rocket that excels in every department. It’s light and small with four folding rotor arms, making it the most portable 4K cameraequipped drone currently on the market. The quality of video footage is matched by its ability to take very detailed 12 megapixel photos. It can also take four styles of panorama image and it does this all by itself. Simply select the panorama function and the drone hovers in one spot and takes a series of images from different angles (with no pilot input) which it them stitches together to produce a seamless widescreen vista. The Mavic Air can also be controlled with palm gestures or a mobile phone, but the supplied hand controller provides the most satisfying way to operate it. It also lets you fly much further – up to 4 km away and back again on a battery that lasts around 21 minutes. Best of all, though, are the obstacle avoidance sensors on the rear as well as to the fore and below the craft. This makes flying more confidence-inspiring than ever. never had a chance to fly in one. anything up to 300 coffins per year. The unique designs of the Kane Kwei Carpentry Workshop have caught the attention of American academics and artists and in recent times Eric Adjetey Anang has been in demand at a number of venues in the United States. Last October he spent two months as an artist in residence at the University of Iowa. In the summer he was a guest of Maine College of Art and he recently hosted workshops at Tennessee Tech University. Eric is married with two children and his son Joshua loves helping him in the studio. rhythmic flow of his poetry. become the Greatest Of All Times. knew I can go places with it,” he says. word and is an unstinting champion of contemporary poetry in Ghana. Nigeria, Cameroon and the UK. mances, visit his Facebook page. been able to achieve all of these. across the green hills, plunging ravines and tumbling waterfalls of Kwahu once you’re up and soaring are spectacular. Community aid Such interaction with the community by the paragliders is integral to the principles of the festival, which has evolved into an opportunity not only for participants to experience the beautiful culture and landscapes of Ghana, but also for participating pilots and passengers to represent the goodwill of the flying community by raising donations to aid local community development efforts. The efforts of several pilots over the years, with the help of the Cloudbase Foundation, have raised funds for a local orphanage in Kwahu. There are plenty of ground-level attractions during the festival as well. If you want something to rival the adrenaline rush of paragliding, you can go on a hike to the Nkofieho Caves of Life. It is said they once served as a hideout for warriors fleeing wars waged by the Asante kings and you’ll appreciate their evasiveness when you have to plunge into thick forest and climb up a steep section of Odweanoma Mountain to reach them. In the towns there are live music events, organised football matches, street carnivals and markets selling traditional clothing and jewellery to cater for the vast numbers of people who visit the region each year. The boxers of Bukom What is it about this small, underprivileged fishing community that produces so many legends of the ring? world champions in the sport. boxing talent over the years. champion between 1975 and 1976.
from poverty to stake a claim on boxing’s world stage, just like Kotei and Nelson and other local heroes such as former welterweight world champion Joshua ‘The Hitter’ Clottey and Olympic medallist Ike ‘Bazooka’ Quartey. for success in the ring. Bukom’s boxing greats Roy Ankrah: Held featherweight, bantamweight, lightweight and welterweight Gold Coast titles during a professional career that ran from the 1940s to 1960s. After retiring from the ring, he coached the Ghana Olympic boxing squad. David Kotei: When he was crowned world featherweight boxing champion in 1975 he became the first Ghanaian professional boxer to win a world title. Nicknamed ‘DK Poison’, he won 40 fights, 24 by knockout. Azumah Nelson: Widely considered the greatest African boxer of all time, Nelson held the WBC featherweight title once and the WBC super featherweight title twice. He is now training his son, Azumah Nelson Junior, who has set his sights on becoming a greater legend than his father. Joshua Clottey: Held the IBF welterweight title from 2008 to 2009. Renowned for his defensive prowess – most controversially displayed in a 2010 loss to Manny Pacquiao – he never lost a bout via knockout. supportive of all its fighters. draw a huge crowd of supporters. Bramaih Kamoko (Bukom Banku): Rose to prominence by winning a bronze medal as a heavyweight at the 1999 All Africa Games. Won the WBO Africa Light Heavyweight title in 2011 and the WBO Africa Cruiserweight title in 2012. His 28-fight unbeaten record came to a dramatic end in 2017 when he was knocked out by fellow Bukom boy Bastie Samir. A rematch has been much talked about, but has yet to happen. Ray Demski Canadian photographer and cinematographer Ray visited Bukom last year as a Nikon European Ambassador to take pictures of the boxers and their community. 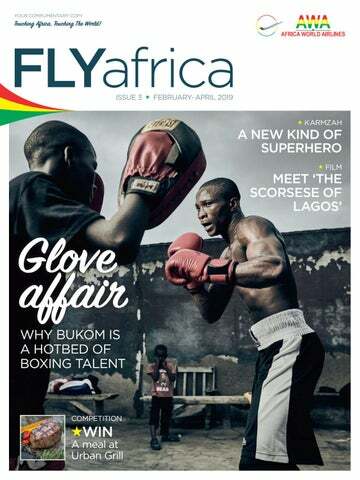 He kindly allowed FLYafrica to use his stirring images to accompany this feature. Ray specialises in action and adventure photography, using his own athleticism to find new angles and points of view. His commercial client roster includes the likes of BMW, Adidas, Audi and Red Bull. Capital city of Ghana with an estimated population of 2.27 million. Economic and administrative hub for Greater Accra region and home to Ghana’s government administration. Port town combined with Sekondi to form Sekondi-Takoradi, capital of the Western Region. Capital and most populous city of Liberia with more than 1 million inhabitants. Located in Ashanti Region and one of Ghana’s biggest metropolitan areas with a population of 2.07 million. Nigeria’s largest city and the most populous in Africa. Major financial centre and home to one of Africa’s biggest ports. Capital of Sierra Leone and the country’s economic, financial, cultural and political centre. Tamale Tamale Airport Capital of Ghana’s Northern Region and hub for administrative and commercial activities. Abuja Nnamdi Azikiwe International Airport Capital of Nigeria and one of the fastest-growing cities in the world. Administrative and political centre of Nigeria. Allow enough time to arrive at the airport at least two hours before the flight departure time and no later than 40 minutes before departure. If you are a special needs passenger, arrive at the airport in ample time to allow the airport staff to process documents. Make sure you have the correct identification for check-in, such as a voter’s ID card, National Health Insurance card, driver’s licence or any form of government identification before you travel on AWA’s domestic routes and a valid passport on regional routes. A visa is required for non-ECOWAS passport holders. Without a valid physical government-issued ID you will not be checked in. are allowed to travel as a UM. Details of parent/guardian destination must be provided by a parent/guardian during reservation. Proof of age such as a valid passport, birth certificate or National Health Insurance card must be presented at check-in. Check that your bags are within the correct weight and size limits for your product class (see table below). AWA ground staff will assist the UM with check-in, transfers and boarding. Check your seat assignment, which will be given to you at the airport. Enjoy complimentary hot beverages, served on some routes, as well as fresh fruit juice and snacks including croissants, biscuits and fish/meat pies. Pay close attention to the safety procedures outlined by the cabin crew and take note of your nearest exit. pregnancy at the date of travel. personâ&#x20AC;&#x2122;s condition upon ticket purchase. cian stating she is fit to fly. sit in the emergency exit rows. Babies under 14 days old are not permitted to fly. requires us not to do so. not permitted to fly with AWA.